On the CB-X there wasn’t an obvious place around the back to mount a new model Auto Pro 1 Tutoro chain oiler. 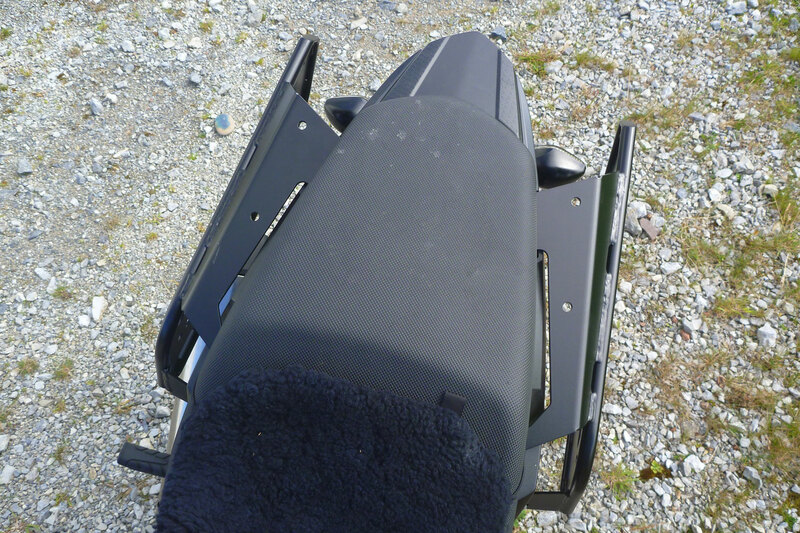 I saw a couple of people on the forum perched theirs on the pillion footpeg mount, but with off-roading and stone flying on the agenda, I can’t see mine lasting too long back there, even with the reservoir rock guard that comes with the latest model. 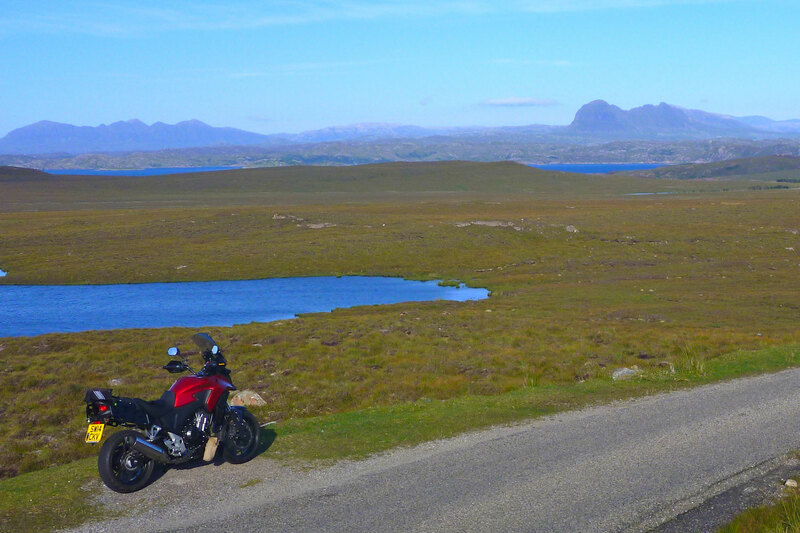 The next best place I could find was on a front downtube behind the radiator. Who knows, the warmth might make the oil runnier and better penetrating – or maybe just more splashy. The delivery tube needed an extra 6 inches which I had from an old Tuturo kit. 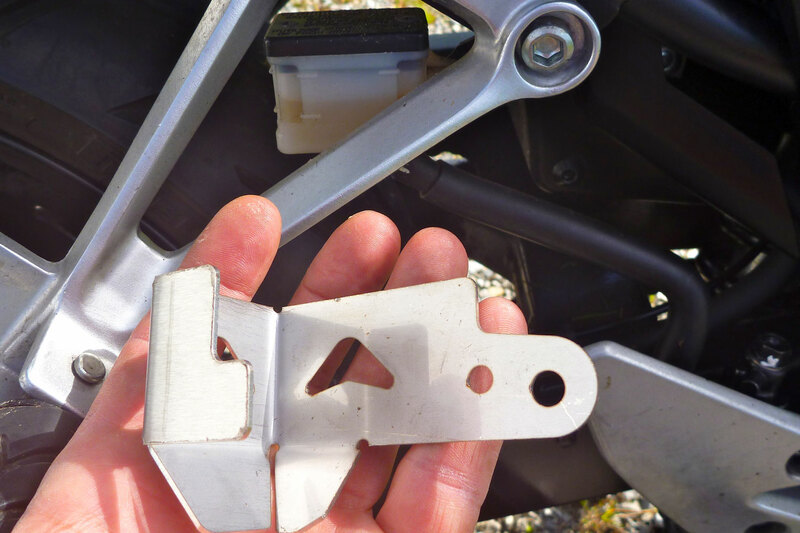 They have a new nozzle swingarm mount too: a plate and nylon bolt (right) you zip tie on to better secure the twin nozzle in front of the sprocket, instead of positioning it with a coil of bent wire. I think I’ll add some more support to the nylon bolt at the inside of the swingarm to stop it getting snapped off. As it is, I can see it all getting swept off by off-road debris. At least with the bendy coil you can bend it back. I may add that too. I’m a bit concerned about the state of my chain. At only 3000 miles there’s rust on the outer plates which probably means rust on the inside too which will ruin the o-rings soon enough. Neither I nor I doubt the previous owners neglected it that much, so it must have been a cheap batch, like those that found their way onto some F-series BMW twins a few years back. Even though it’s far from worn out, I think I’ll have to take a leaf out of my own book and fit new. 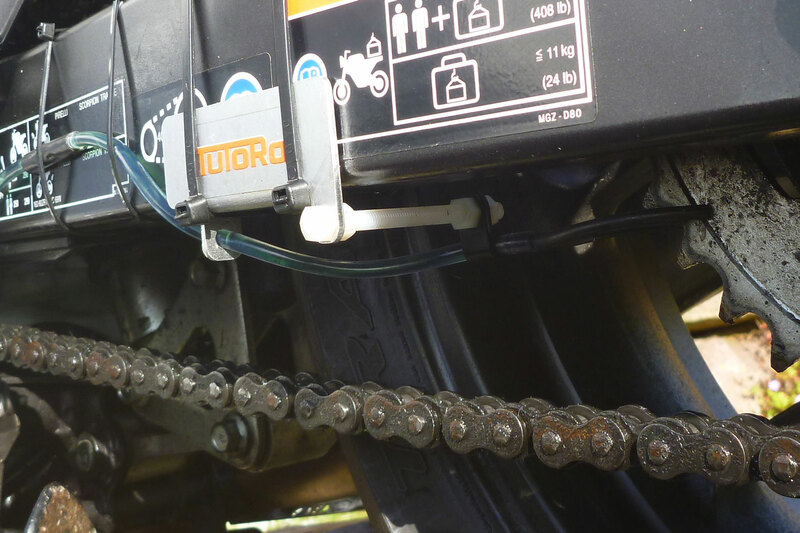 The upcoming trip to Western Sahara and back will rack up at least 7000 miles, and even with the new oiler, in the sands I doubt my dud OE chain will make it to 10k. 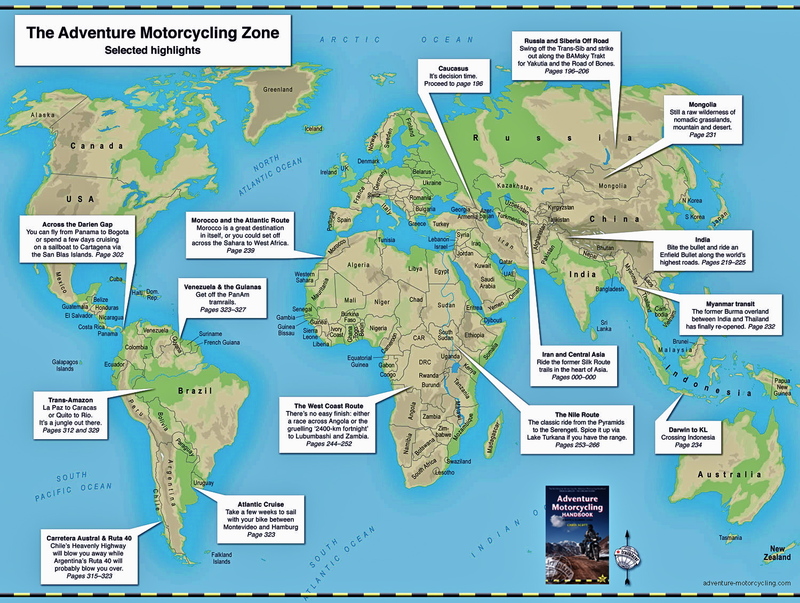 I made that mistake on a Funduro ride to Libya once (left). Lots of sand on that trip and the no-name chain was slipping by Tunisia on the way back and despite my best efforts, the back sprocket was totally shot by Maidstone. I had to hire a van the last 25 miles home. 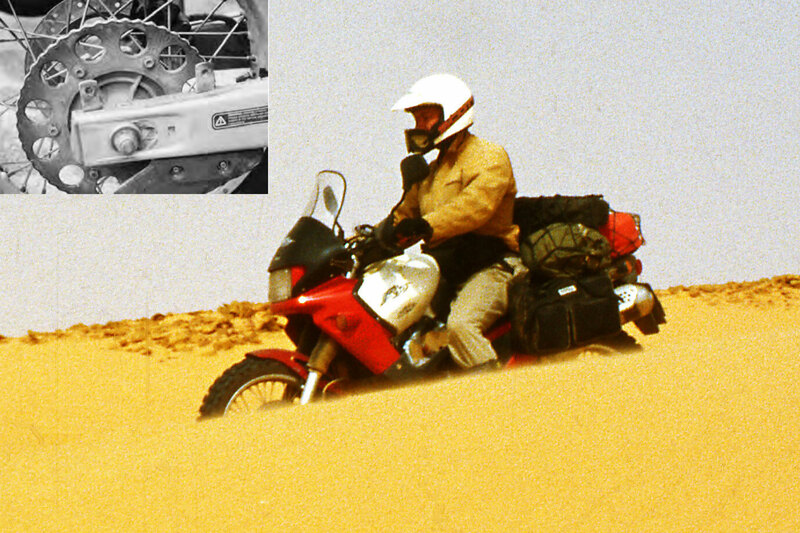 On other Sahara trips o-ring DIDs have lasted fine. Again the forum has mixed reports on chain life, even with very regular maintenance. 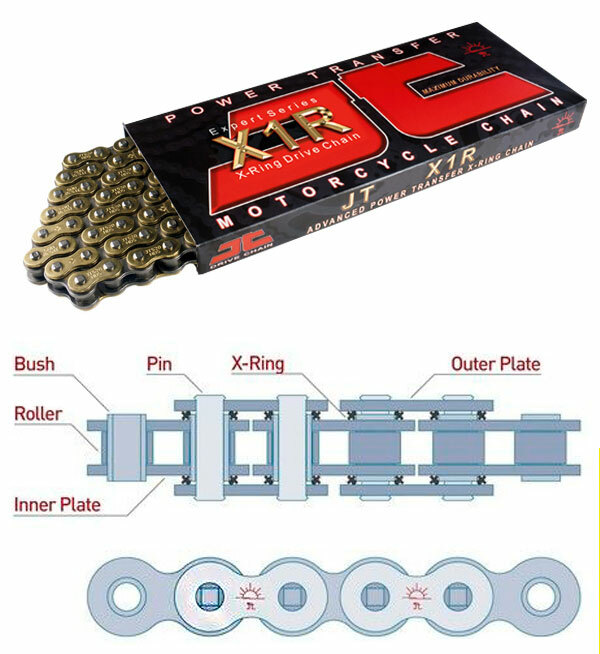 A quality chain wants to get on there quick before the sprockets wear. Normally that would be a DID gold x-ring, but I couldn’t find an X on ebay so let’s take a chance on a JT X1R version for £53. It’s good to try new stuff anyway, and I’m sure it will last the run in the desert sands, now the Tutoro is lubing it. 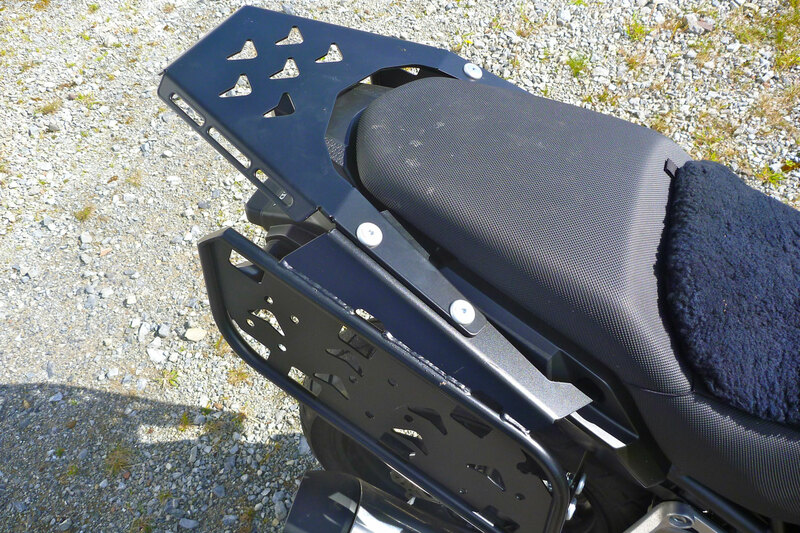 Rally Raid’s pannier rack arrived, along with a few extras. At £230 delivered, it was a good deal more expensive than a regular Hepco pannier rack (right) which seems to be the only one that’s a general purpose rack, and not specified for a certain type of luggage. As it is, it’s way too far back like so many of these racks, though with throwovers that doesn’t matter too much. 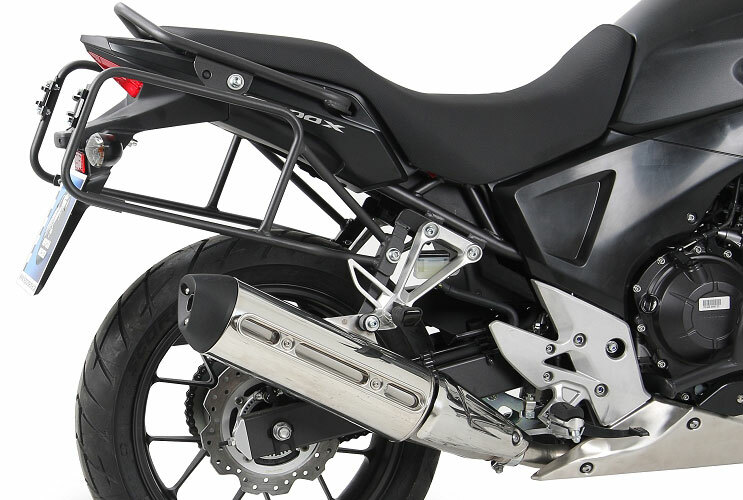 The RRP side rack weights 4.7kg in steel and seems based on their KTM690 rack, a bike whose plastic fuel tank is the rear subframe and so needs a bit of extra support. 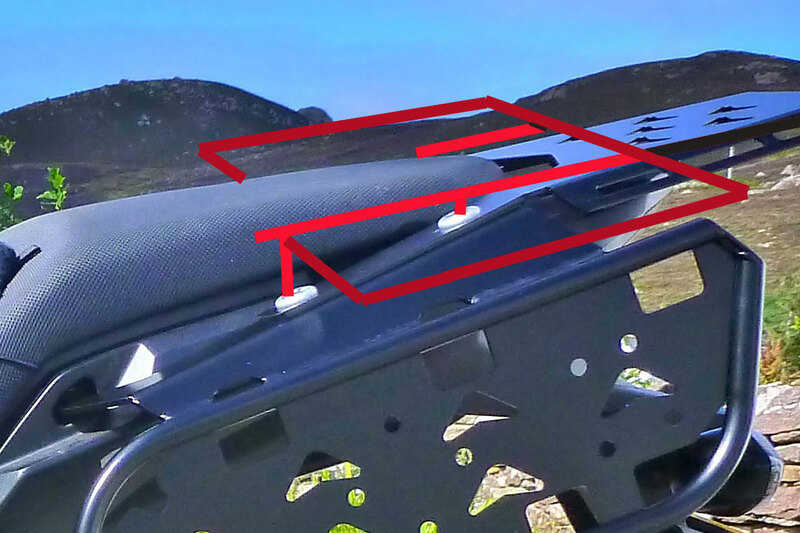 Being more heavily built than your H&B, the RRP CB-X rack does away with the rear cross brace and is said to be made to fit the Giant Loop Siskiyou throwovers. 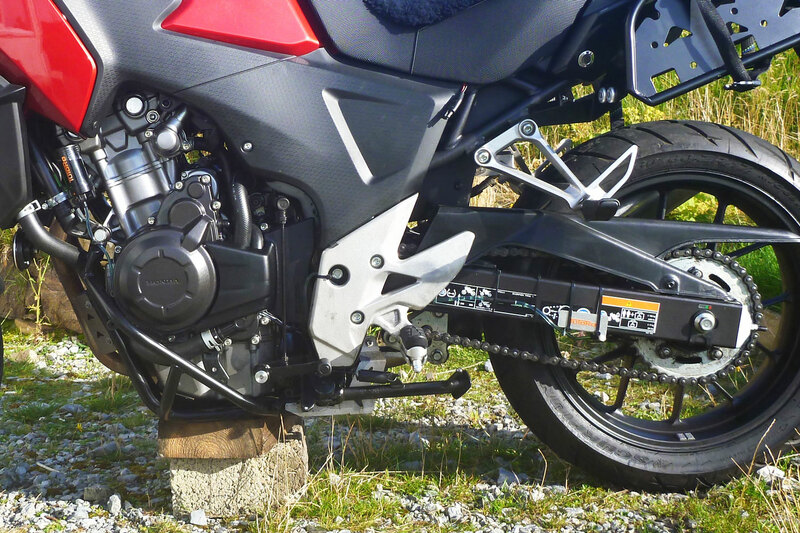 The rack replaces the 1.8kg pair of grabrails and uses their six mounts on the chunky subframe, so that’s actually less than 3 kilos added overall. 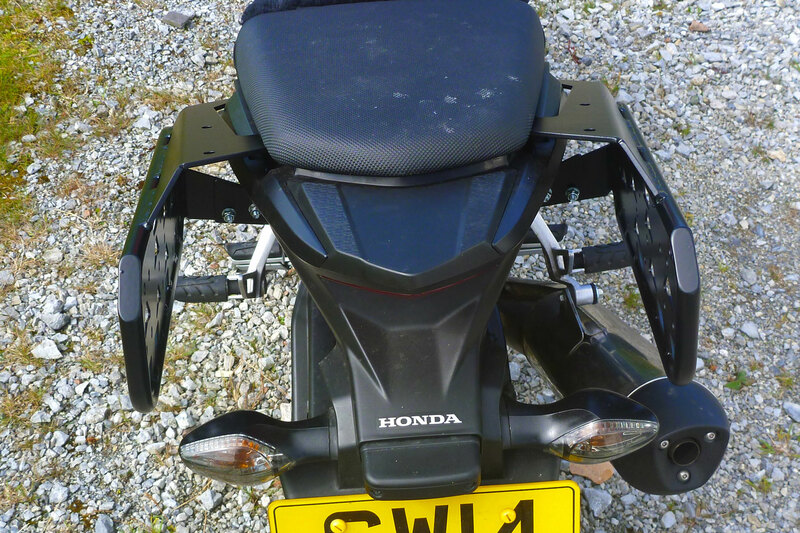 The third mount is a bracket that goes behind the pillion peg mounts and the whole lot was easy to fit and lined up precisely. I did wonder if the short side height might not support my tall Magadans so well. As it is on the right the upswept silencer will get in the way whatever set up you use. Sticking out equally on both sides, there’s heaps of room to stash stuff behind (left) or fit one of those tool tubes. Though I’d rather have a slim rack, I can see those spaces becoming handy. 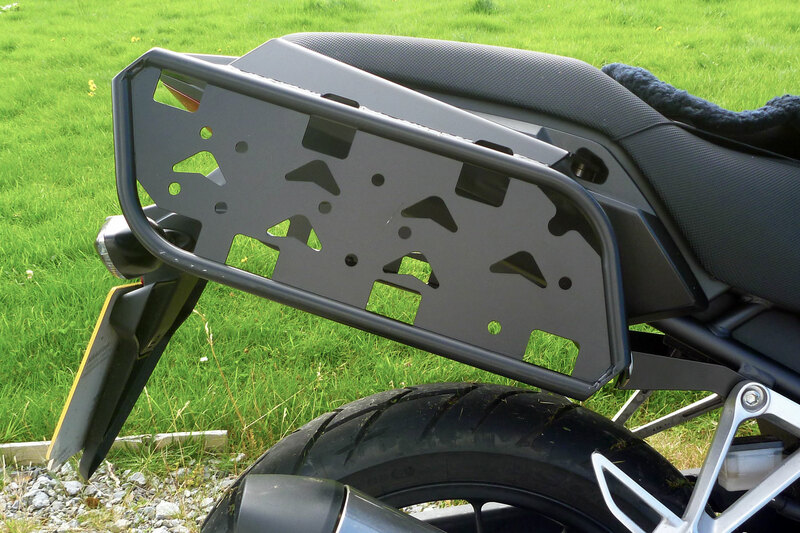 RRP also sent me their 1.8kg tail rack to look at, though I’m not a fan of these CNC ‘plate racks’. I fitted it anyway to see how it looks, as it mounts on the side racks very easily. I prefer traditional tube racks and the reason becomes clear once the grab rails are removed: there’s nothing to grab on to! Not so much for a pillion but when picking up or manoeuvering or back-end dragging the bike into the cow shed where it currently lives. It’s really quite frustrating. For a while I thought I might bolt on grab loops to the tail rack mounts, but have decided to try and get an X-rack style sheep rack made (right). 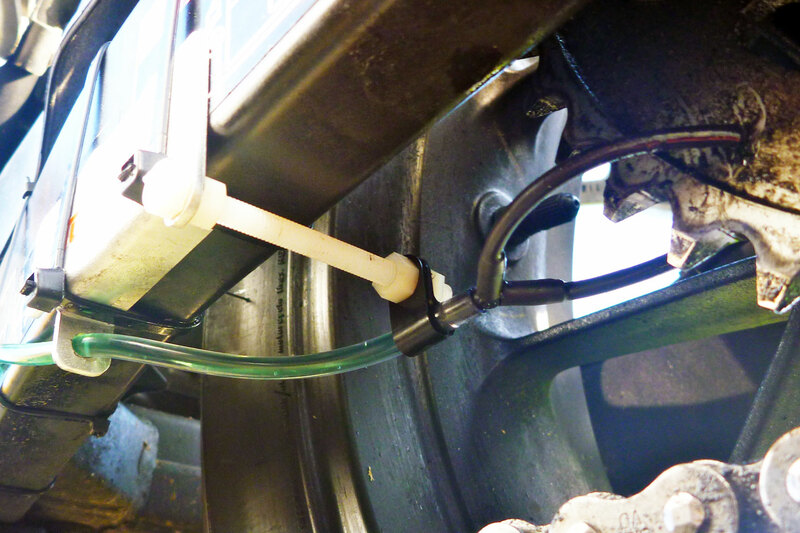 Other RRP goodies included a nifty rear brake reservoir guard (left). Now I look at it, it’s quite exposed, just as the oiler would have been back there. 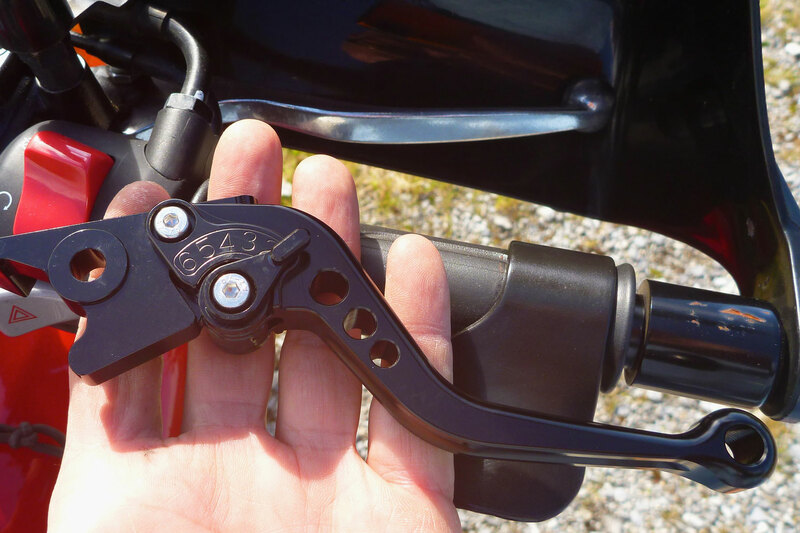 And a nifty pair of adjustable shorty levers. I’ll get round to them when the new front end arrives. 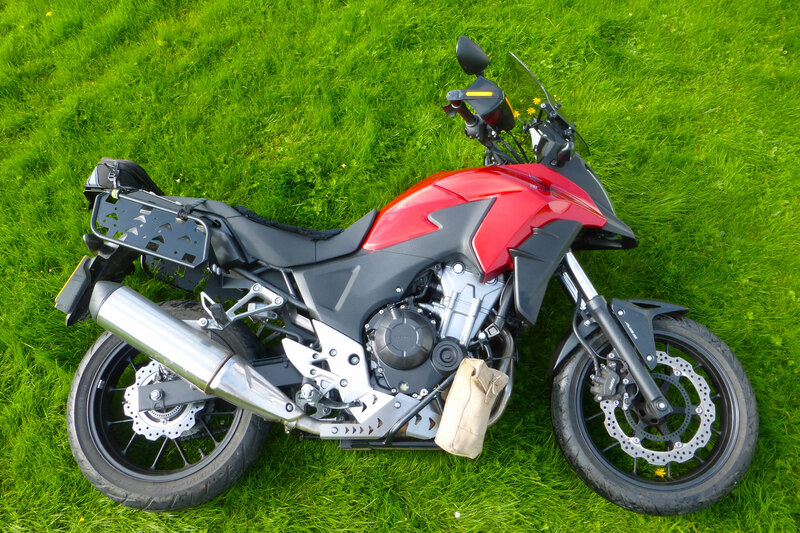 This entry was posted in Adventure Motorcycling Gear Reviews, Project: Honda CB500X Rally Raid and tagged cb500x pannier rack, JT X1R chain, rally raid cb500x, tutoro chain oiler. Bookmark the permalink.